Rita has arrived from Australia where she has spent most of her life. 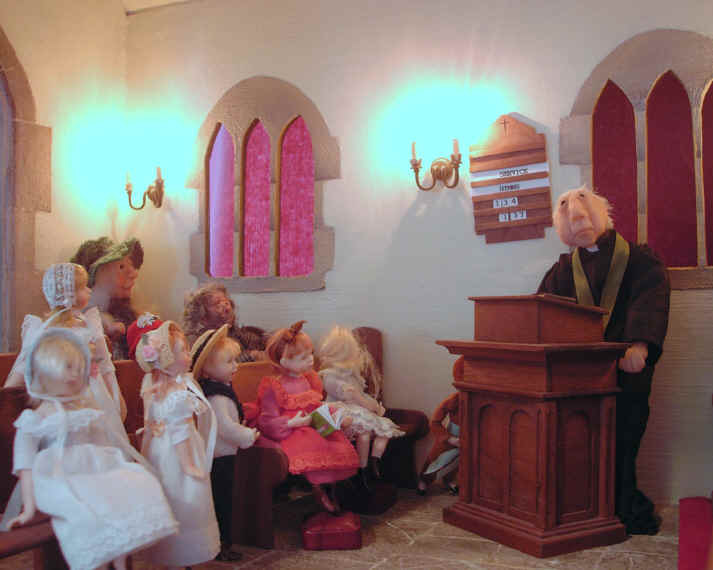 She had heard all about St Hilary's church in England and how the vicar, the Reverend Ponsenby-Smyth, was very kind to everyone who joined the congregation. She knew that he would welcome her into the church. It is Sunday morning and the service has begun. 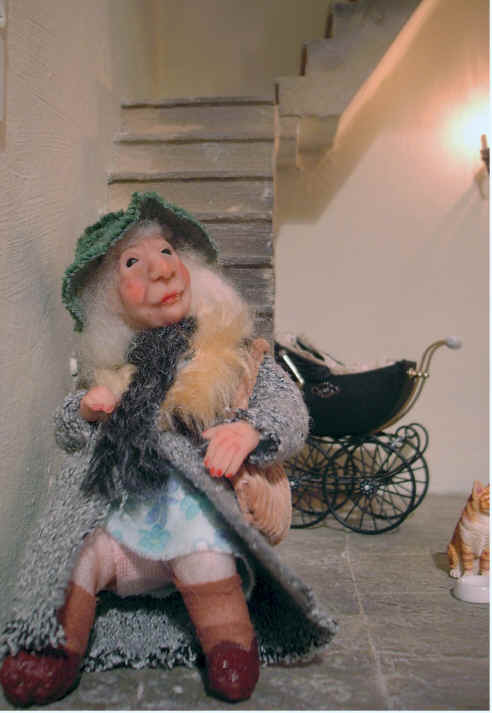 However Rita enjoys a short rest on the stairs in the bell tower because she has been walking for a long time. Rita has joined everyone else in the church as they listen to the vicar, the Reverend Ponsenby-Smyth, telling them stories about Jesus.